"Hello and a warm welcome to 1st Lady Health & Beauty. We understand that everybody is different and that's why we go out of our way to listen to our clients and tailor our services to their specific needs. 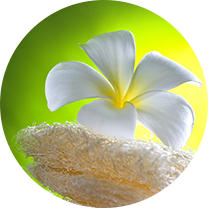 We also like to make people feel comfortable and relaxed in our friendly spa environment. We understand how important your body is to you and we work very hard to keep our prices affordable and our quality of service exceptional. All our staff are fully trained in the latest techniques and they can offer both classic and contemporary treatments for women. We will help to relax and soothe your worries away."